My Account - Anthropose | Get. Give. Change. You can pay for your order using any Visa, Mastercard, or American Express. How long does it take the refund to be deposited into my account? Once we receive your returned package, we refund it immediately. However, it may take up to 10-14 working days for the payment to show up in your account. However, please be advised that shipping and handling charges are not refundable. How long does it take the returns to reach Anthropose? Once you have returned your purchase, it may take up to 10 days for it to reach us. We will confirm that we have received your returned package once we receive it. We’re not able to offer an exchange on returned items and all returned items will be refunded once they’ve been received by our warehouse. If you need a different item, then you’ll need to place a new order. You can return your parcel using any postal service. We ask that you obtain a proof of postage receipt so that if your parcel goes missing on the way back to us, you’ll have proof you sent it. If you’re looking to return a faulty or incorrect item, please get in touch with us [email protected] so we can get this sorted for you. We want to give you a hassle-free way to return anything, so you can return any item to us within 28 days of receiving your original order, excluding sale items. The items returned should come with all the original packaging and be free of any sign of wear and tear and be in re-saleable condition when we receive it. We can’t offer an exchange on returned items but you can send something back for a full refund and then place a new order for item you’d prefer. As an International customer, you can return your parcel using any postal service. Please note – you’ll need to cover the postage and any relevant duty costs yourself. 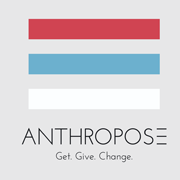 Anthropose reserves the right to determine the status of re-saleable condition. Yes, you can track your order by logging in to your account on our website and clicking on the order number to view the tracking number and tracking services. We currently deliver our products to United States, United Kingdom, Australia and Nepal. Once you’ve entered your delivery address during the checkout process, you’ll be able to see the available delivery services and charges. You’ll be able to follow your order. To check this, all you need to do is log into ‘My Account’ and view your order. Insert the tracking code number available and click ‘Track This Order’, and you’ll be able to follow your parcel. and, we will get back to you with the status of your parcel at the earliest. Please contact our Customer Care team with your order number and the incorrect item’s name and product number. If an item is missing, please contact our Customer Care team with the order number and the missing item’s name and number. We will resolve the issue for you as quickly as we can. If you need to cancel the order that you have already placed, please get in touch with our Customer Care team at [email protected] with the Subject line: “Return Request” as soon as possible. We can only cancel your order if your order hasn’t already been dispatched from our facility. Take a deep breath, relax and imagine the growing job opportunities, skill development and sustainable economic uplift that would become possible here in Nepal if Anthropose succeeds. Imagine the communities that are elevated and enabled as a part of our direct giving to individuals who are blind. For every sunglasses sold, we donate USD 7 from our profits to our giving partners. Why don’t you implement One for One model like many other brands? We would be the most happiest if we could do so. The reason why we can’t implement One for One model is because depending on the volume of the operation and location, the cost of providing surgeries in rural areas through surgical eye-camps and sponsoring a child for remedial courses ranges anywhere between USD 70 to USD 120. With the cost involved it is not possible to match the trending One for One model.